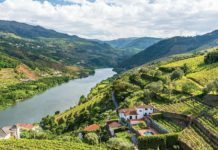 River cruising is on a roll, as demonstrated by cruise lines that continue to rack up double-digit growth rates, even in recessionary times, and report strong advance bookings for 2011. 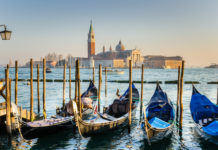 This rising tide of river travel is sweeping in as a mainstream vacation choice for Americans who enjoy a convenient and hassle-free way to travel at an unhurried pace, multiple destination stops with easy access to city centers, hotel-style accommodations and gourmet dining. 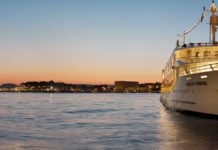 Frequent cruisers report that river cruising is more sociable than ocean-going cruises, because of open seating arrangements in dining rooms and shore excursions shared with small groups, and they praise all-inclusive features such as daily shore excursions and wine with meals. U.S. river cruise operators continue to invest in the future. 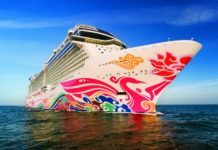 In 2011 alone, they will launch 12 new-built or re-built ships on the major waterways of Western Europe, Russia, China and now Southeast Asia, reflecting bullishness about a travel product that presently appeals mainly to the 55-plus market of baby boomers, retirees and experienced travelers. 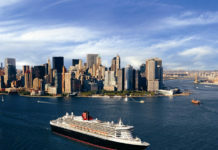 And that, too, is changing as cruise companies introduce new itineraries and activities, themed cruises, and even more modern amenities designed to draw an even younger and wider market. What all passengers will find is increasingly sophisticated ships with larger and balconied staterooms and suites appointed with fluffy robes and high thread-count linens, gyms and spas, flat-screen TVs and complimentary WiFi, elevators and alternative dining. amawaterways From the tulip fields of Holland to the temples of Southeast Asia, AMAWaterways is offering myriad opportunities to experience many of the great waterways in Europe, Russia and Southeast Asia in 2011, aboard new ships, following new itineraries, and offering enhanced amenities. In 2010, AMAWaterways expanded its fleet of custom-designed vessels to 12 with the launch of the 162-passenger ms Amabella; the new-built’s features include staterooms averaging 214 sq. ft., double balconies, an intimate chef’s table restaurant seating 24 and with its own private chef, a library with fireplace, and a pool. Complimentary WiFi and high-speed Internet access are featured on all AMAWater- ways vessels on the Danube, Rhine, Main and Moselle rivers, where many itineraries for next year from April to October are specifically designed to take advantage of the Koblenz Flower Show. The newest itinerary will be a sweeping From the North Sea to the Black Sea cruise. 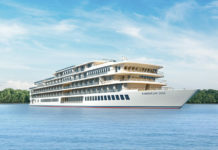 In Southeast Asia, the brand-new ms Amalotus will join the 92-passenger La Marguerite, which debuted on the Mekong River in the autumn of 2009, and both will sail on 7-night cruises that include ports of call from Siem Reap in Cambodia to Ho Chi Minh City in Vietnam. The 124-passenger ship features stylishly decorated, 226-sq.-ft. staterooms with all the amenities of a fine hotel. All suites and staterooms offer outside accommodations, more than 80 percent with balconies. Junior suites are fitted into 290 sq. ft. of space, and suites—452 sq. ft.—offer the ultimate in onboard pampering.